As the 9/11 anniversary approaches, attacking our national symbols is not productive. It gets attention, but the wrong kind.Americans would do well to remember the positive things that came from the September 11, 2001 attacks. Not to minimize the horror of that day. I saw American Airlines Flight 77 crash into the Pentagon. I witnessed the explosion, the rising black smoke cloud flecked with glinting glass and metal. I had nightmares about it. I’ll never forget that feeling. But in the days and weeks that followed the tragedy, there was a great national coming together, a shared sense of unity and purpose. We honored the firefighters, police and other first responders who lost their lives, and looked upon those who continued to serve our communities with newfound respect. There was a refreshing — and sadly temporary — moratorium on the usual political sniping and infighting as the country considered responses to the attack. And across the nation the American flag was a symbol of unity, pride and purpose. 9/11 brought out the best in us, and that feeling was patriotism. Not angry nationalism but true patriotism, a sense of gratitude to our grievously wounded country. Those terrorist attacks shook us from complacency, made us think about what it meant to be American. Fifteen years later, it is hard to even comprehend that feeling. Inspiration is in short supply. Politics is as mean and dysfunctional as ever. The sense of respect was fleeting. 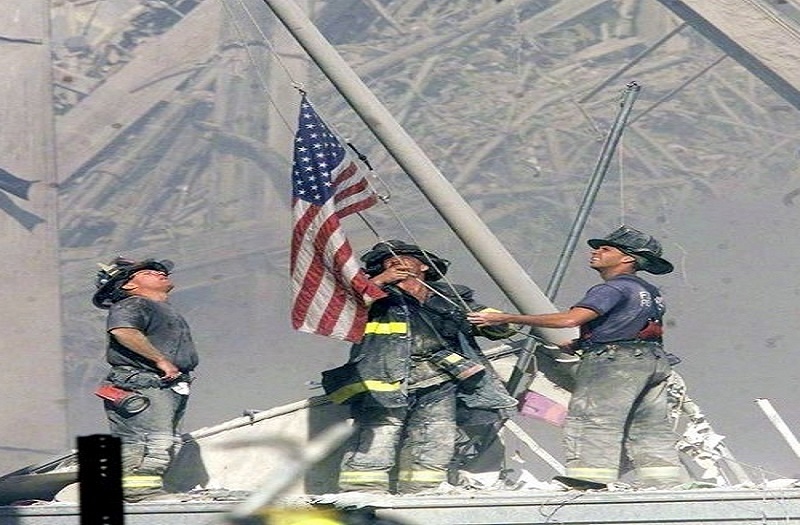 Today, firefighters are forced to remove American flags from their rigs. Law enforcement is under attack. National symbols meant to provide rallying points for civic pride instead have become divisive battlegrounds. 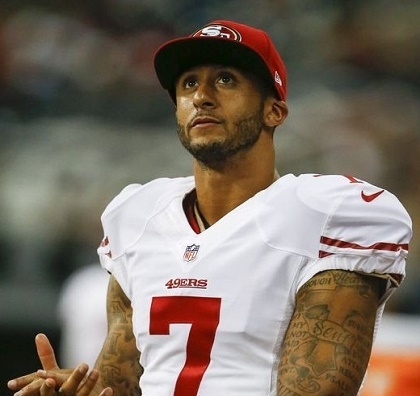 San Francisco 49ers quarterback Colin Kaepernick refused to stand for the national anthem . San Francisco 49ers quarterback Colin Kaepernick refused to stand for the national anthem because, as he explains, he is “not going to stand up to show pride in a flag for a country that oppresses black people and people of color.” Seattle Reign soccer midfielder Megan Rapinoe, who has joined Kaepernick’s protest, was thwarted Wednesday when the Washington Spirit franchise played the anthem before players took the field. The American values poll taken annually by the Pew Research Center for People and the Press shows vast majorities of Americans who agree with the statement “I am very patriotic.” People want to feel good about America even as they acknowledge the challenges the country faces. Thinking back to that last great moment of national unity fifteen years ago should encourage us to focus on finding ways to strengthen our shared values, not dig in on grievances. The takeaway from 9/11 should be that it is possible for Americans to feel good about the country, and each other. We are all in this together. And it shouldn’t take a national tragedy for us to realize that.